Good luck to Spring and Summer, because Good Things for All Seasons goes all the way for the winter celebrations. A rocker sits on the porch of the Historic Torian Cabin facing City Hall. 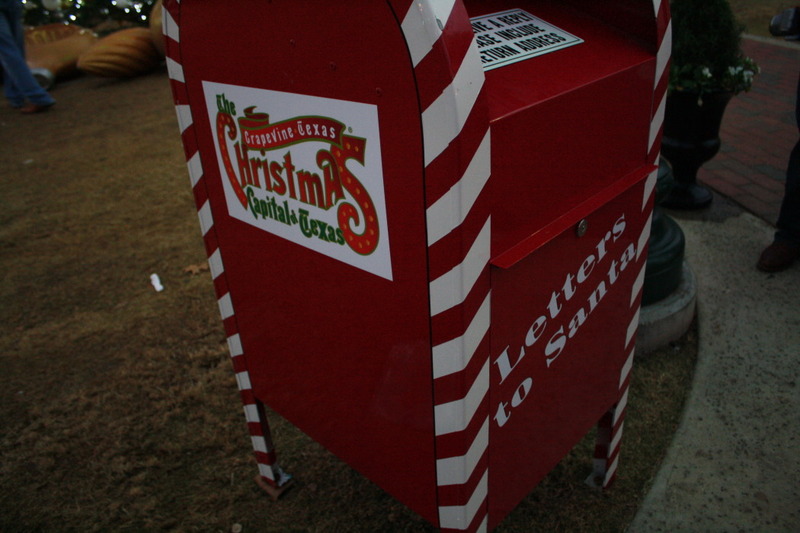 Children can drop off their letters to Santa. 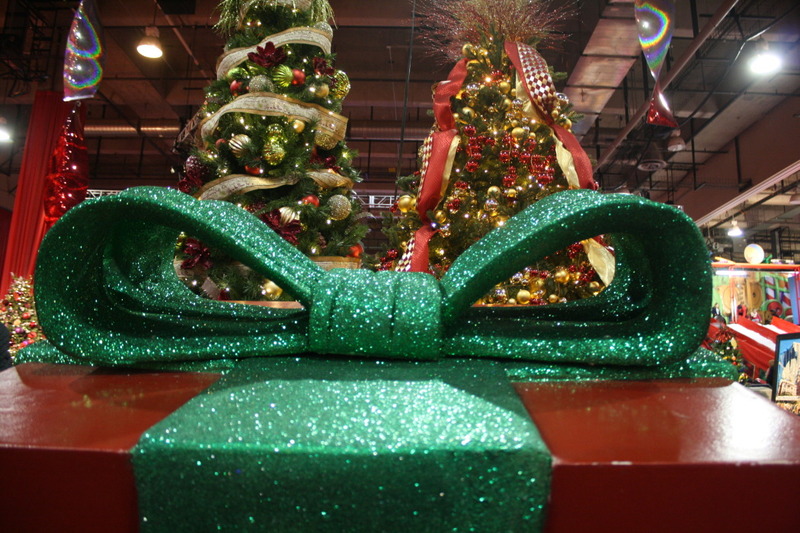 Make sure to include a return address so the elves can write back. 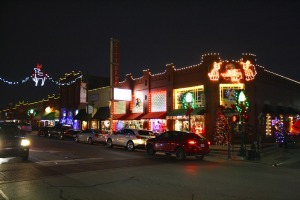 Historic Downtown Grapevine. 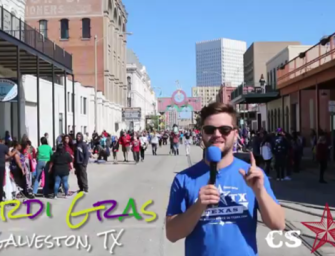 From the corner of Texas and Main. The Sidewalk Judge, a bronze statue, will keep you company while you people watch on the bench. Make sure your boots are polished, though. He's a little judgey. The Christmas tree next to the Town Square Gazebo in the middle of Main street. 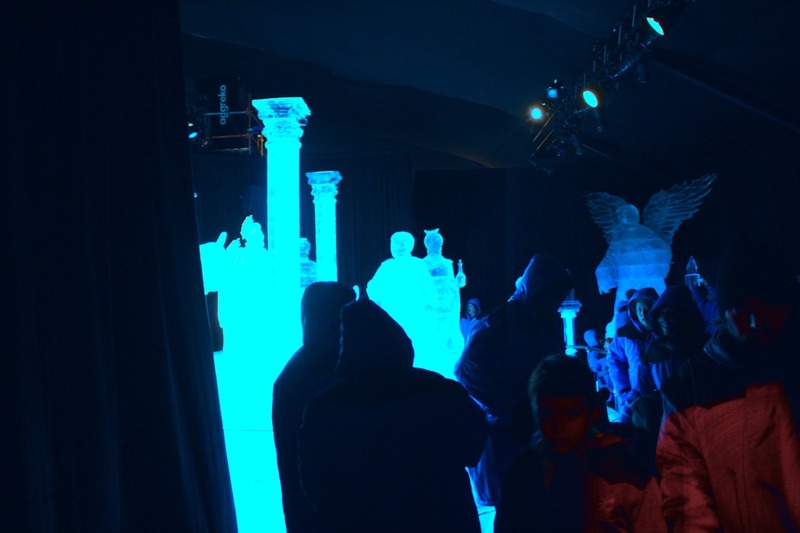 Visitors at the Gaylord Texan walk past ice sculptures at ICE!, featuring ore than 2 million pounds of ice. See no snow, Hear no snow, cough no snow. 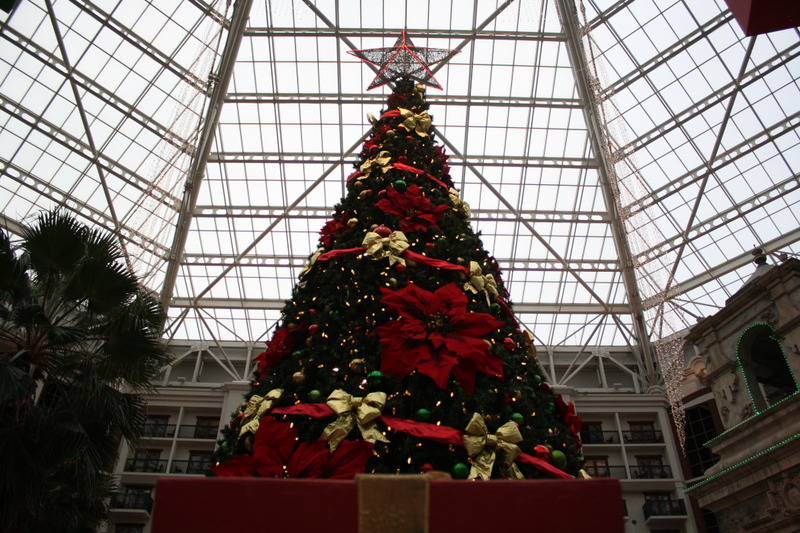 Gaylord Texan's giant Christmas tree. 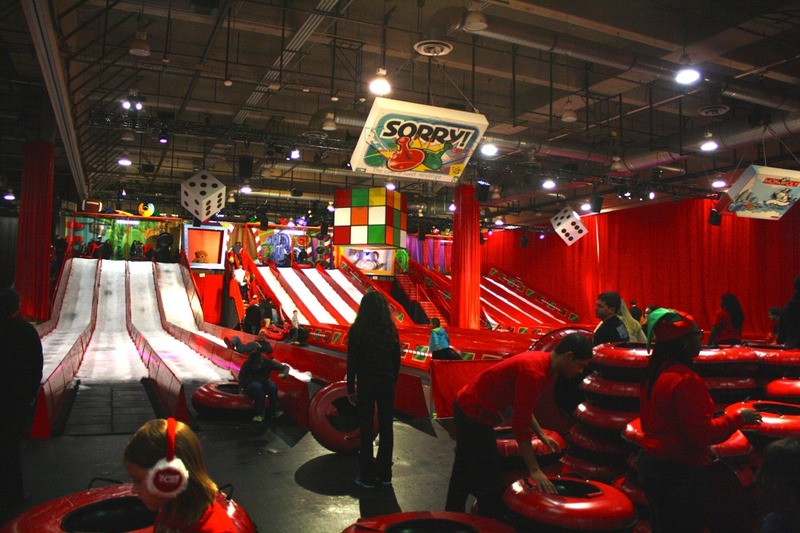 Evan though it's still about 70 degrees outside, children and adults can both enjoy the indoor snow tubing slides. 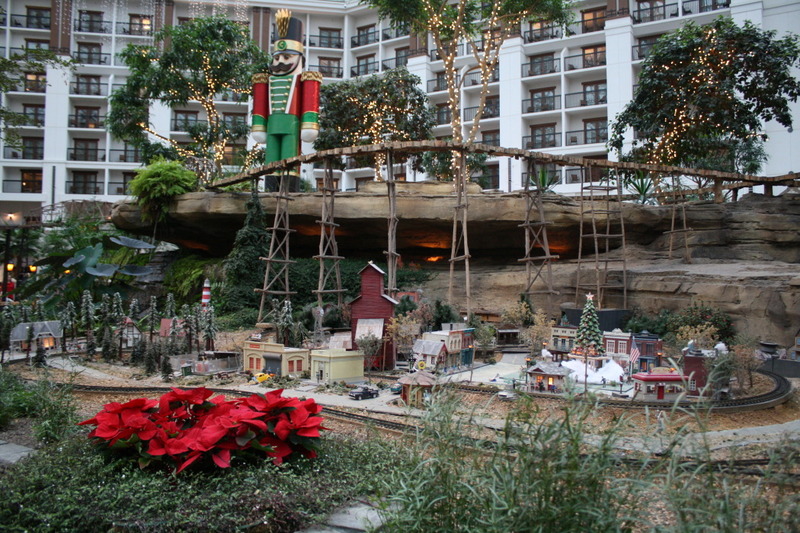 The train village under the dome at Gaylord Texan. 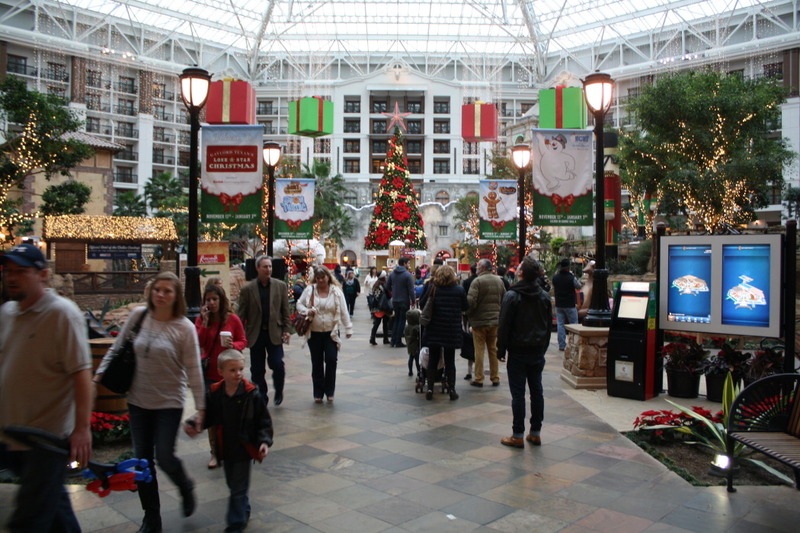 Visitors at the Gaylord Texan enjoy the sights and sounds of a Texas Christmas. The tap wall at Tolbert's Restaurant. 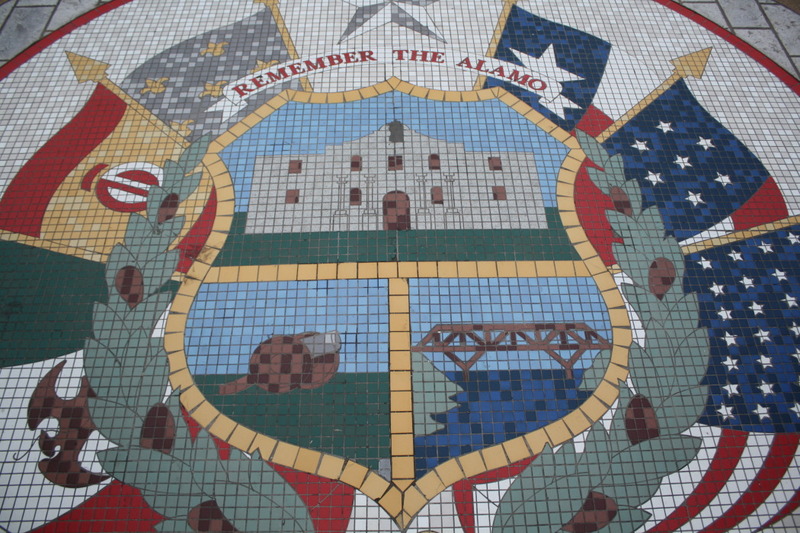 A Texas Flag-themed window in a shop on Main Street in historic downtown Grapevine. 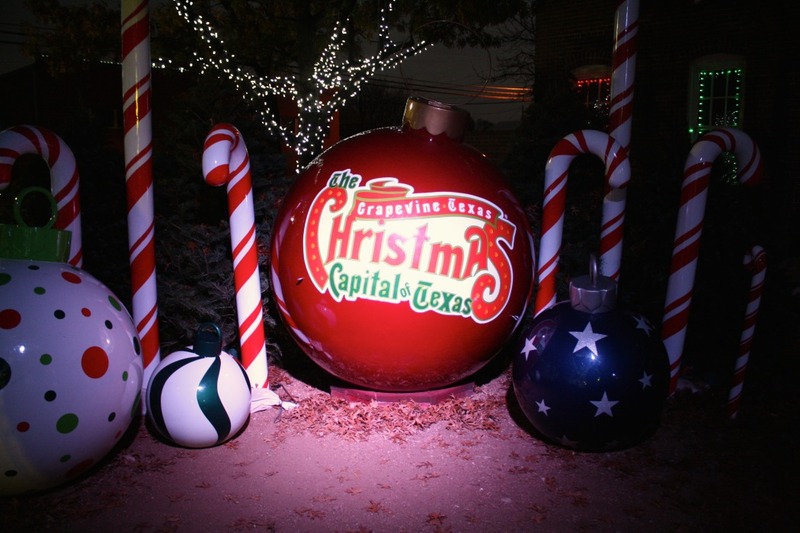 Grapevine, the Christmas Capital of Texas. December can be a stressful time. If you’re in school, it’s finals. If you’re not, it’s budgeting to make sure Christmas shopping doesn’t bottom out your bank account. 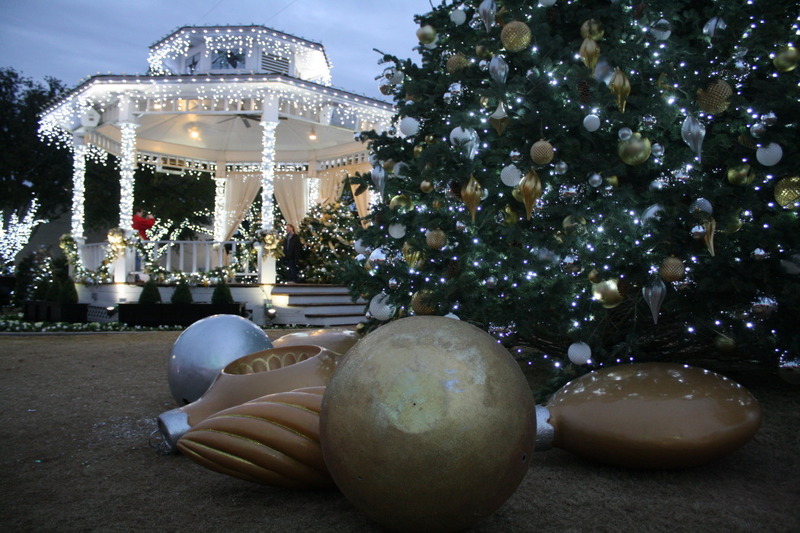 Sometimes what you need is a jolt of Christmas cheer to jumpstart your holiday season. 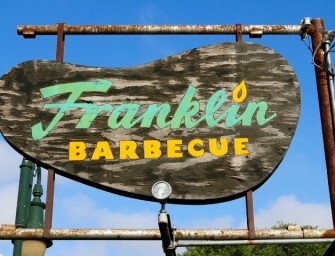 That’s when you head up to Grapevine, The Christmas Capital of Texas. The quaint shops and restaurants that line the main street of this North Texas town remind visitors of simpler times. 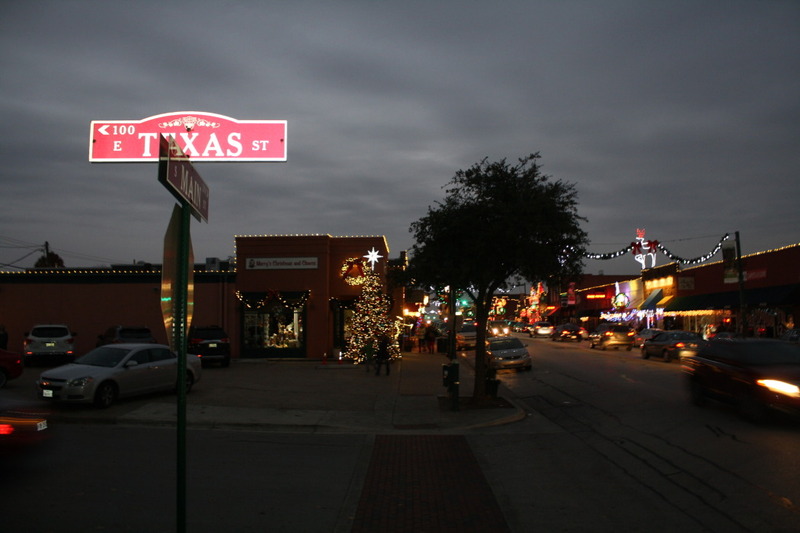 No matter where you might call home, taking a walk down Grapevine’s Main Street gives you the feeling that you grew up there and just never found a reason to leave. Festive, is a great way to describe the charming Main Street of Grapevine at any time of year. 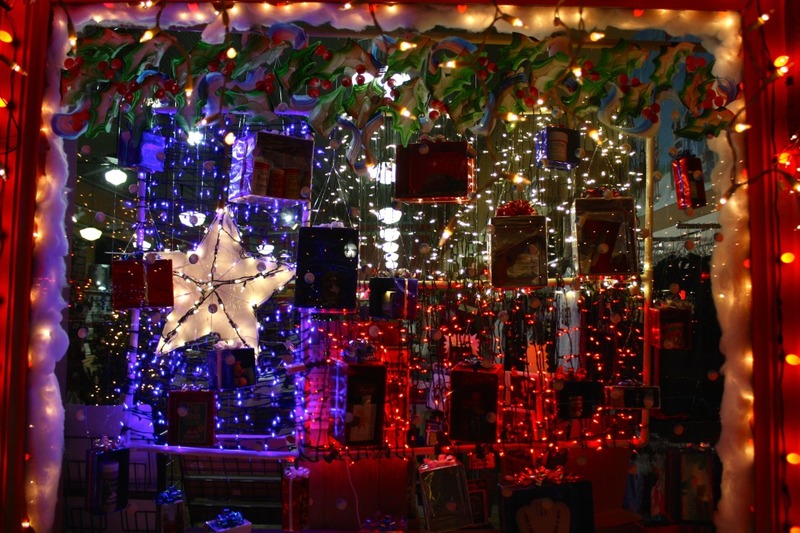 At Christmas, however, the restaurant and shop owners along Main Street take it to a whole new level. The adage, less is more, has no place in the Grapevine Christmas decorating handbook. From boutique shops to diners, banks and bars, every merchant decorates their storefronts with Christmas trees, lights, reindeer, cowboy Santas and more. 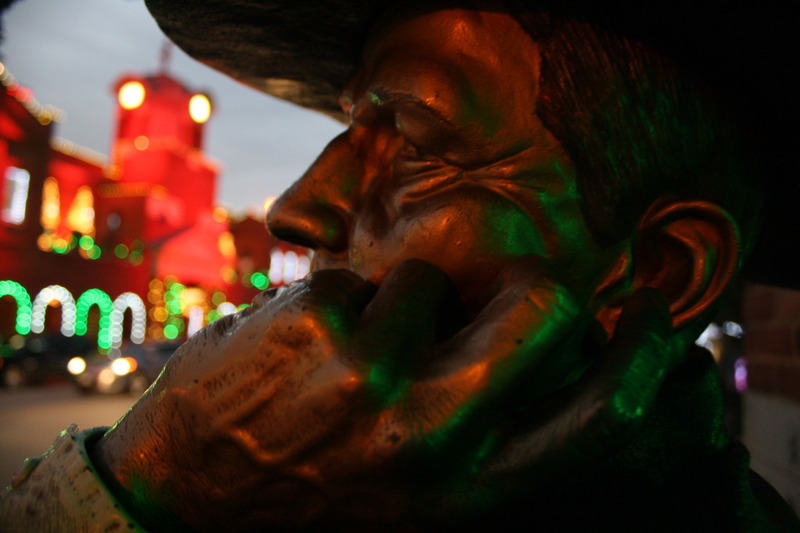 It’s a constant reminder that it’s not just Christmastime, but it’s Christmastime in Texas. 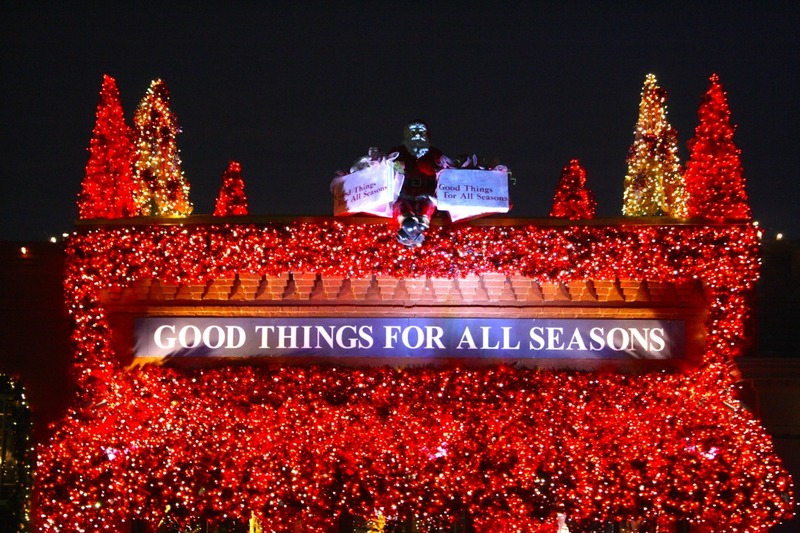 With over 1,400 events packed into just over a month, there is never a dull moment in Grapevine during the holiday season. If you’re up for a holiday adventure, stroll on down Main Street to the Grapevine Vintage Railroad to take the kids on the North Poll Express for hot chocolate with Santa and Mrs. Claus. For those of us big kids, we can enjoy wine from different local vineyards on the Christmas Wine Train. 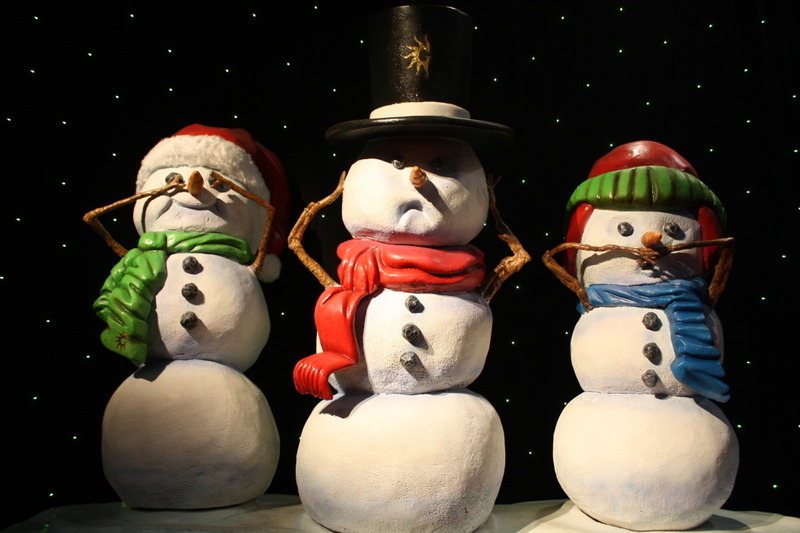 Nearby, the Gaylord Texan Resort offers shows, exhibits, and ICE!, the holiday attraction featuring Frosty the Snowman, snow tubing, buildings and sculptures all made out of more than two million pounds of ice. 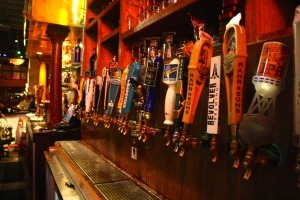 Stop in at one of more than 30 restaurants and bars located in the Historic Downtown district. 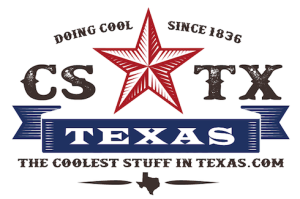 There is everything from Tex-Mex to wine bars on, or within a short walking distance of Main Street. 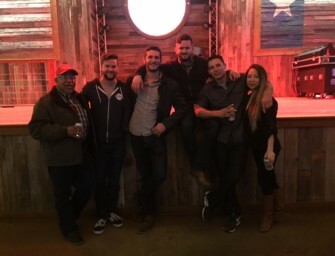 We stopped in at Tolbert’s Restaurant for a quick drink. 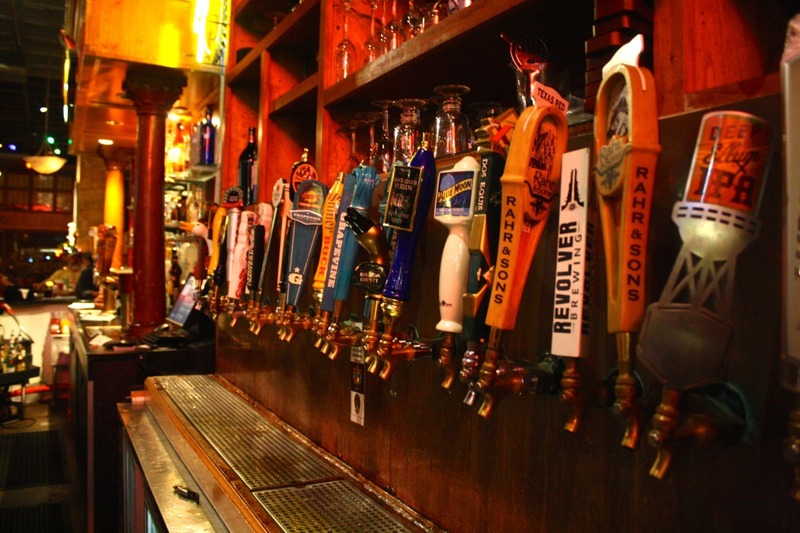 Tolbert’s has a vast menu, and a large bar offering an array of Texas brews, including the local Grapevine Craft Brewery beers. I had one of their Night Watch Oatmeal Stouts. The tap wall at Tolbert’s Restaurant. Taking in Historic Main Street, lit up by the millions of tiny lights just after dark, you could swear you just heard George Bailey ask you if you wanted the moon. It’s either that, or you heard the sounds of It’s A Wonderful Life coming from the old Palace Theatre, which plays a variety of Christmas movies throughout the month. 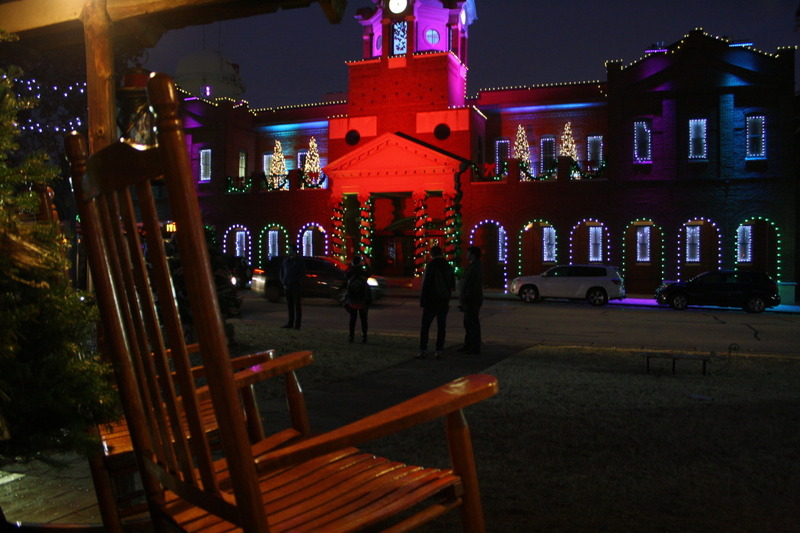 A stroll through Historic Downtown Grapevine is a great way to kick-start your holiday cheer, so grab some friends and take a night to check it out. 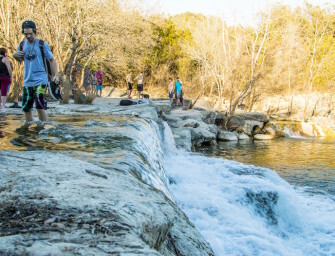 It’s a good way to remind yourself that it really is a wonderful life….in Texas.